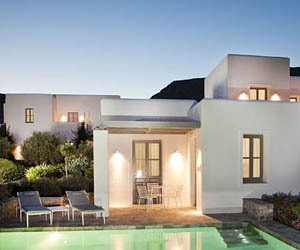 If you’d like to get more out of your holidays than a tan and some rest, then Greece is the place for you. Forget about the typical tourist destinations; find somewhere off the beaten track where you will get away from it all and do something different. You could do something as simple as a walk through the hills or a hike through the mountains, but if you want a little adrenaline boost there’s also rafting, canyoning, rock climbing, and a lot more… You could take art courses (painting, photography, pottery, ceramics…) or participate in cooking courses and wine tasting. You could also choose for an alternative holiday experience, by staying in guesthouses where you can participate in eco- or agro-touristic activities. Let me give you some ideas for active holidays in Greece. It is by no means a complete listing of possibilities, but I hope it will inspire you to explore new horizons. Thanks to its excellent weather conditions and the diversity of its landscape, Greece is paradise for nature lovers and anyone into outdoor activities. Mountains, rivers, lakes, forests, wetlands, gorges, wild-life sanctuaries offer amazing opportunities for anyone looking for an escape in nature. 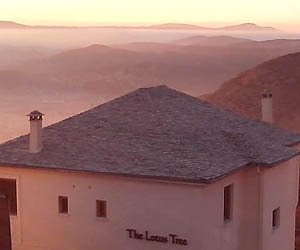 Mountain trekking, rafting, horse-riding, rock climbing, canoeing, and even alpine skiing may not be what Greece is known for, but it is all possible, and often under the best of circumstances. There are lots of small (and some larger) companies organising outdoor activities. Rafting in Epirus, rock climbing in the Peloponnese, canyoning in Pelion… there is so much on offer! 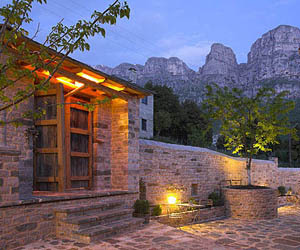 Founded by two Greek mountain guides, Trekking Hellas was the first company in Greece to specialize in active holidays. 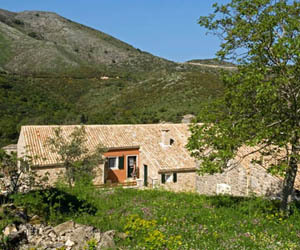 They offer a range of fantastic activities in different parts of the country. No need abandon the idea of lazy holidays (or to book a package including accommodation); you can sign up for plenty of one- or even half-day activities. Starlight kayaking or stand-up paddling on Santorini, rock climbing or rappel at the Meteora, walking tours or city running in Athens, rafting or trekking in the Lousios Gorge in the Peloponnese, the choice is yours! 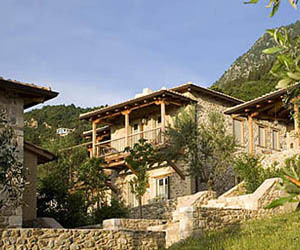 Some hotel owners also organise walks, hikes and other activities for their guests. Jill of the Old Silk Store in Pelion (and her donkey!) 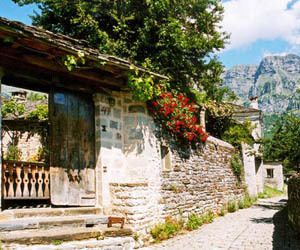 takes her guests on walks through the mountains, and Vasilis of Saxonis Houses in the Zagorohoria offers various activity packages. Also at Xenónas Fos kè Chóros hiking is on the agenda, especially if you come off season. Albert and Anita can suggest routes, and are happy to organise drop-off or pick-up. Once or twice a year, they have “silent walk” weeks. 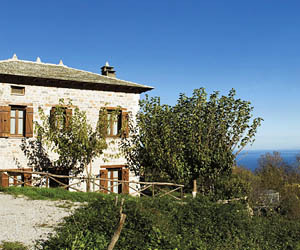 If you stay in the fall or late spring at Amanita (also in Pelion), owner Filaretos can take you mushroom hunting. Horseback riding as a leisure activity is not big in Greece, but it is gaining in popularity. There are several places where you can make outings on horseback, but you should keep in mind that the quality of those clubs varies significantly, and unless you are an experienced rider and you feel you can properly judge the situation, it may not be wise to go riding at the first place you come across. Keep in mind that places where you are not required to wear a helmet by definition are not insured. If you visit Greece in the winter, you can also do some skiing. There are no huge resorts like you have in the Alps, but there are over 15 ski centres spread all over the Greek mainland. The smallest, near the village of Trikala in the Peloponnese has just one ski lift (! ), while the largest, Parnassos, has 14 lifts and about 25 runs. Parnassos is the only resort I’ve tried so far, and I was pleasantly surprised how well organised it was. You can rent equipment at the bottom of the ski lift, and it only takes 5-10 minutes to get everything you need. 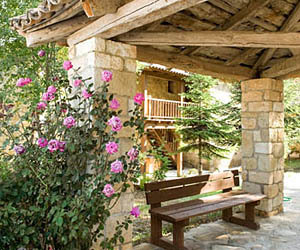 At just a two-hour drive from Athens, Parnassos attracts a lot of skiers and snowboarders during weekends and holiday periods, but as few Athenians will actually take days off from work to go skiing (and there are no Greek school vacations between the New Year and Easter), on weekdays the slopes are practically empty. It is close to Delphi, and if you stay in Arahova or Amfilia, you could visit the temples and excavations of Delphi and have lunch by the sea one day, and hit the ski slopes the next! For more information about Greek ski resorts, check snowreport.gr. 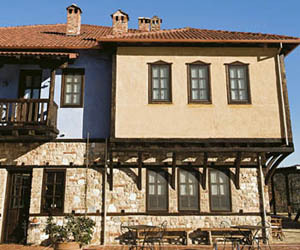 The Greek National Tourism Organisation defines agro-tourism as a “mild form of sustainable tourist development and multi-activity in rural areas through which the visitor has the opportunity to get acquainted with agricultural areas, agricultural occupations, local products, traditional cuisine and the daily life of the people, as well as the cultural elements and the authentic features of the area, while showing respect for the environment and tradition.” It sounds, um…, I guess I could say ‘impressive’. In practice, however, as far as Greece goes, the term does not signify more than a stay in a guesthouse in the countryside, and the ‘agro-tourism’ aspect is sometimes more of an indication of lack of comfort than anything else. 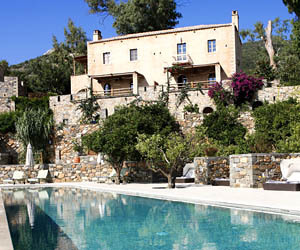 That said, there are quite a few warm, welcoming, comfortable and sometimes even luxurious guesthouses on agricultural estates that will bring you in contact with traditional Greek ways of farming and, if you so wish, even be part of it. In some of these places you are indeed welcome to participate in the daily chores of the farm, or even harvest the products for your own dinner. But in most cases you are supposed to simply relax while others do the work, and if you are interested, you can watch and learn a few things. For instance, if you’d like to know something about olive production and processing, Eleonas on Evia is the place for you. 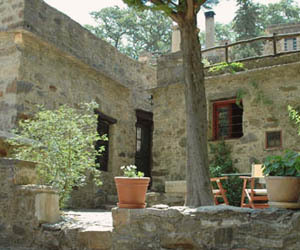 If you want to learn a few things about organic agricultural production, you will enjoy a stay at Milia on Crete and or Eumelia in Lakonia. 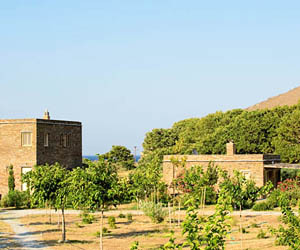 If you are interested in agro-tourism in the form of relaxing and luxurious holidays in a rural environment, you could try the Pelecas Country Club on Corfou and Elia on Crete. As far as I know, there is no such thing as organized working holidays at farms in Greece. Perhaps there are farmers who would be happy to have you as their guest in exchange for some help, but this would be a friendly arrangement – not agro-tourism. 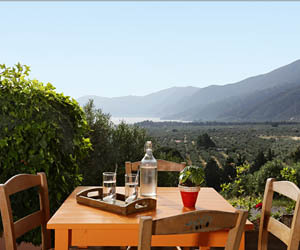 Ecotourism is another fairly loosely defined concept in Greece. Any lodging or activity in nature tends to be labelled as such, and often a little too easily. While the owners of small hotel are becoming increasingly responsible from an environmental point of view, there are only a few guesthouses that I would call truly ‘eco’ – places that are in the midst of nature and that are run in a fully sustainable manner. 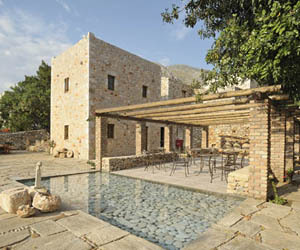 Milia in western Crete is the best example of a place offering a complete eco-tourism experience. 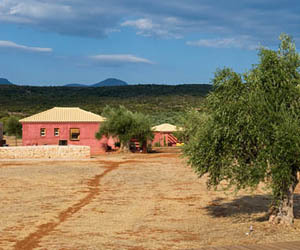 This ecologically-run settlement generates its own (solar) electricity, gets its water from its own springs, recycles all its waste and offers meals from organically grown products only. But of course you don’t need to go for total immersion to be a good eco-tourist yourself. As long as you are respectful and appreciative of Greece’s natural resources and behave in a responsible manner while on holidays in Greece, you are a fine eco-tourist as far as I am concerned! And no matter which part of Greece you go to, you will certainly find beautiful nature to enjoy. When you come on holidays in Greece you will find it easy to understand that the amazing scenery, the richness of the colours, the abundance of sunlight and the gentle rhythms of life never fail to inspire painters, mosaic artists, photographers, writers, musicians, poets and sculptors, Greeks and foreigners alike. For many, no matter where they are from, Greece is the place they return to every summer, to write poetry, to draw, to take photographs, to paint or to play music. 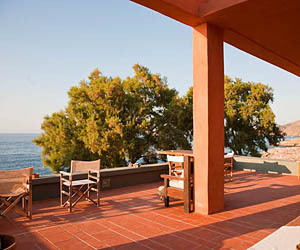 Many have made Greece their second home, and some even decided to stay all year round. 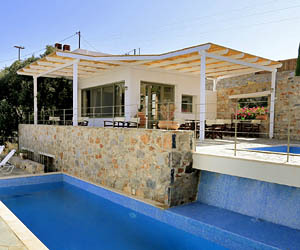 You can also turn your holidays in Greece into a creative escape. It can be as simple as looking around you and taking pictures or making drawings, turning pieces of driftwood found on a beach into a little sculpture or dancing to the enchanting rhythms of Greek traditional music, or you can be more serious about it and enrol in art courses or workshops. Here are just a few ideas. 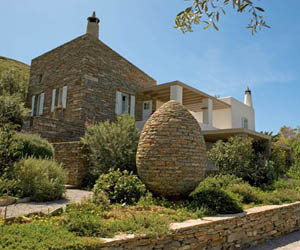 Woodcarving, metalworking marble sculpturing and jewellery design are among the informal art activities offered at “To the Garden”, a unique place on the island of Paros that combines eco/agro-tourism with a variety of creative activities. André Bakker organises photography courses for small groups, at all levels. Programmes depend on the experience and interests of the participants, the equipment they use, and of course on weather and light conditions. Courses are developed as individually as possible, allowing everybody to learn at their own level of experience and knowledge. For more information, visit André’s website. 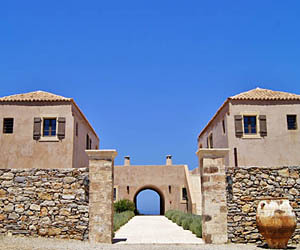 On the island of Paros, Dutch painter and art professor Wim Drion organises painting and drawing courses for small groups. The courses, open to anyone with minimum creative experience are last one week, with daily instruction in the morning, and a one-hour work discussion in the evening. Most of the work is done outside in the old part of the Parikia, the picturesque capital of the island. Participants are free to choose which material and techniques they prefer to use (acrylic, drawing, oil paint, watercolours, etc.). 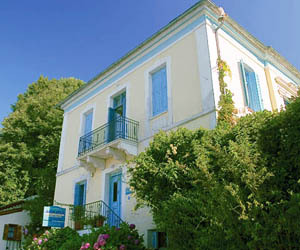 For more information about the courses, visit Paros Art Courses. 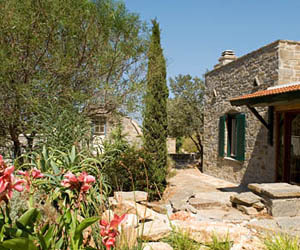 In the village of Vamos in the Cretan province of Chania, “Cretan Creative Holidays” organises art classes and workshops. You can sign up for landscape painting, watercolour painting. painting on silk and digital landscape photography workshops. If you play an instrument you can participate in fantastic music (song writing and recording) workshops.